New Year, New Beginnings. 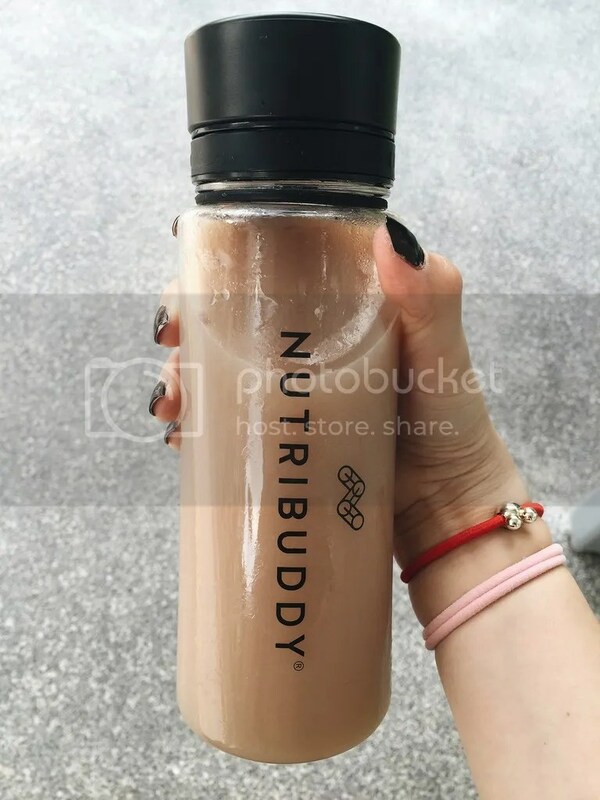 To complement a fitness regime, I chose to kickstart a healthy 2016 with NutriBuddy’s Weight Loss Starter Kit. Despite tight work schedules and sedentary desk-habits, I try to slip in workouts whenever possible. These supplements are both reward for an active past-year and motivation for a fitter year ahead! To get yours, quote “JEAN5” for a 5% discount (off any item) at checkout – link over here. 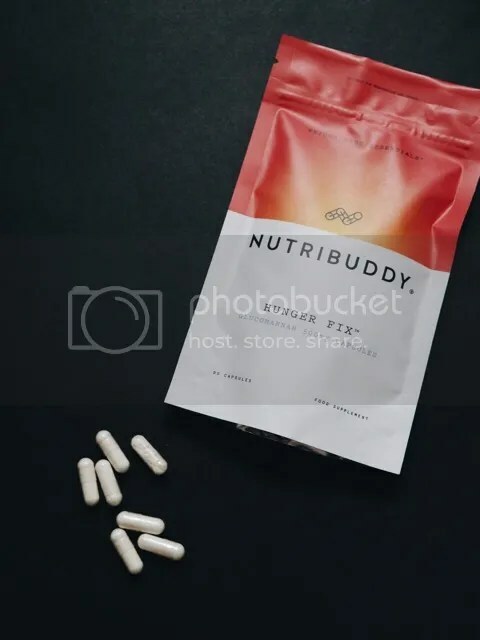 NutriBuddy is based in the UK, but they do international shipping at really low costs. I was really excited to try out NutriBuddy! 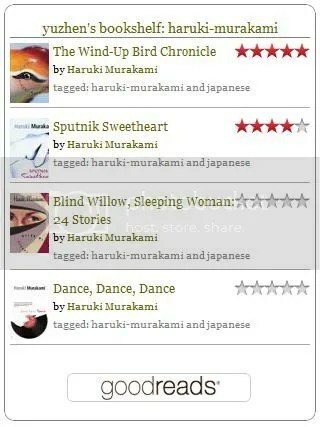 Let’s dive right into the reviews. 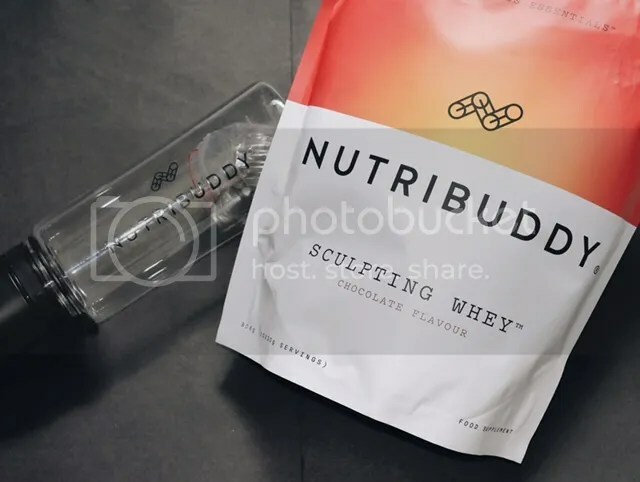 NutriBuddy’s sculpting whey is an 80%-whey-based protein shake made from the milk of free-range, grass fed GM-free cows. Why are GM-free products so well-received, you ask? The truth is, we don’t yet know how much DNA-damage genetically-modified foods produce, and anything GMO may produce genetic mutations we cannot detect nor foresee. 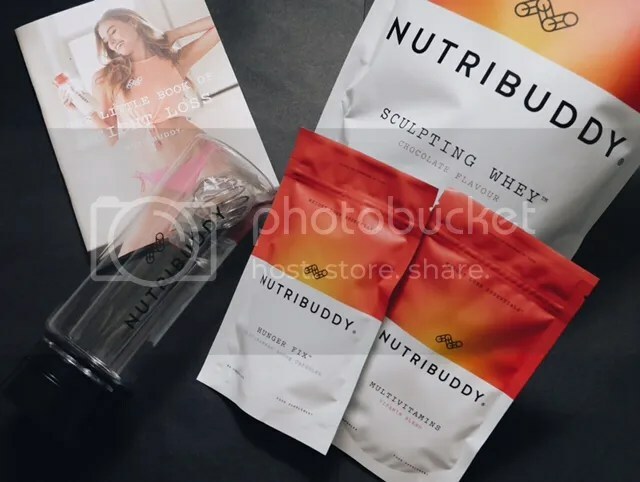 On top of being GM free, Nutribuddy’s sculpting whey contains all-natural ingredients such as green tea and guarana, both of which are metabolism-boosters. Guarana was also widely used in traditional medicine for treating depression and fatigue! At only 115 calories per serving (30g), the shake helps with weight-management and builds muscle definition. I’m taking this instead of unhealthy snacks between meals, and if I’m not all that hungry, this could be a meal-replacement shake to keep me feeling full. This could become a family drink as it is suitable for men and women, and can be used to make foods such as smoothies, protein pancakes and protein porridge. I help with weight loss, toning and definition. I can be taken as a meal / snack replacement or before and after exercise. I’m a healthy and tasty shake who contains several natural ingredients which can help you lose weight and get in shape. I come in two delicious flavours – vanilla and chocolate! I’ve tried soy-protein shakes and heard about its negative contribution to elevated estrogen levels. Whey is a better bet in the protein race, in my opinion. Whey contains a selection of amino acids and is believed to be beneficial for muscle growth and repair, and is often used as a supplementary source of protein for the lactose-intolerant. 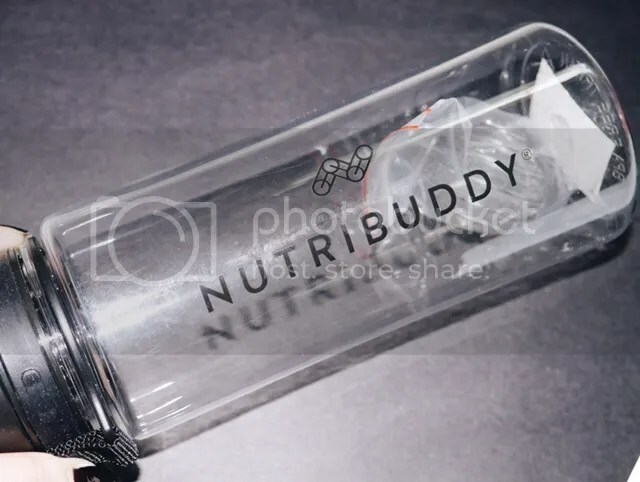 One thing to note: the scoop provided alongside NutriBuddy’s Sculpting Whey is a little oversized for the shaker bottle, hence personally I prefer to use a spoon or plastic funnel to transfer the whey into my shaker bottle. 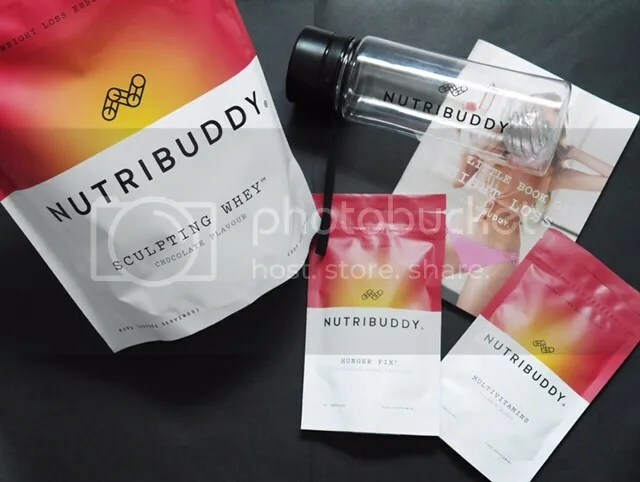 NutriBuddy is well-aware of this and have introduced smaller scoops in new batches of Sculpting Whey. Any customers who received the bigger scoops will also receive a £5 discount code to use off their next order. So I chose the whey in chocolate flavour – a safe choice since vanilla tends to nauseate me when mixed with milk or drank at lukewarm / warm temperatures. This is the mix after 2 minutes of good hard shaking. Goes pretty smoothly down my throat! (c) 30g mixed into chocolate milk. The shaker bottle is the best gauge for the best tasting results, so fill up the bottle to its capacity. The powder takes time and loads of bottle-shaking to fully dissolve – my arm muscle definition is surely making an appearance! The texture gets a whole lot smoother with a good hard shake. I find that the protein shake really gives me energy for reaching my maximum potential at gyms or workouts. Usually I have the shake ready during my workouts so as to consume them immediately after. In case shaking gets boring, NutriBuddy has 2 main colours for its shaker bottle – red and black, to spice up your life with diversity. When you order the full essentials kit they throw in a free Little Book of Weight Loss which provides useful 5-day meal plans, diet recipes and workout tips! However, it must be noted that guarana and green tea extract (components in this sculpting whey) contain caffeine, which may lead to caffeine-related side effects to those who are caffeine-sensitive. Multivitamins are the morning boost I’ve incorporated into my daily supplement regime. No one sane will deny the benefits of multi-vitamins. As long as it’s within the daily recommended intake, I fully support daily multi-vitamin ingestion. One pill contains 100% RDA’s in a daily serving. NutriBuddy’s Multivitamins can help strengthen the immune system, making this perfect for fighting off colds. The greater benefits include: reduce tiredness, maintaining healthy skin, eyes and nervous system, as well as weight management by helping our body to release energy from the foods we eat and by helping to block carbs. I contain your daily recommended allowance of lots of essential vitamins to keep your body strong and healthy. Vitamins are known to help the body release energy from the food we consume, which helps us burn off your food quicker and also gives us more energy. Components of this blend include Vitamins B1, B2, B3, B4, B5, B6, B9 (folic acid), B12, C and E. B vitamins are superheroes of the nervous system, in addition to maintaining skin and eyes health. Plus, the body makes use of Vitamin B to form new red blood cells, and for efficiently use and storage of energy. Since I’m already a daily supplements kinda girl, this just provided me a second option to turn to. Once you get that habit started, it’s a healthy and so-darn addictive one. 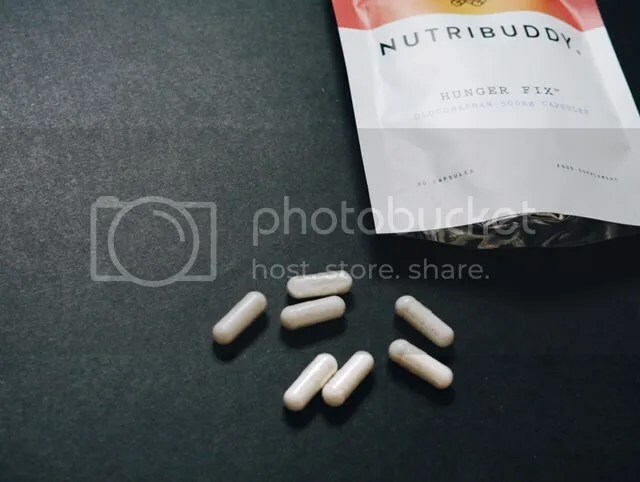 Hunger Fix tablets come in packs of 90, and it is written that consumers can take three to six capsules, 15 minutes to an hour before meals each day, with one to two full glasses of water. I can help you by keeping your hunger cravings at bay, making you feel fuller for longer. You are therefore less likely to snack on unhealthy chocolate bars and eat large food portions. This can lead to weight loss! These tablets have very low calorie content. The key ingredient in Hunger Fix tablets is Glucomannan which comes from the root of the Konjac plant. Glucomannan is a natural ingredient which takes up space in the stomach, and making us feel full and hence eat less. Glucomannan is also able to delay the emptying of your stomach which contributes to the feeling of fullness. It also reduces the absorption of protein and fat. Other health benefits of Hunger fix’s key ingredient include maintaining normal blood cholesterol levels. 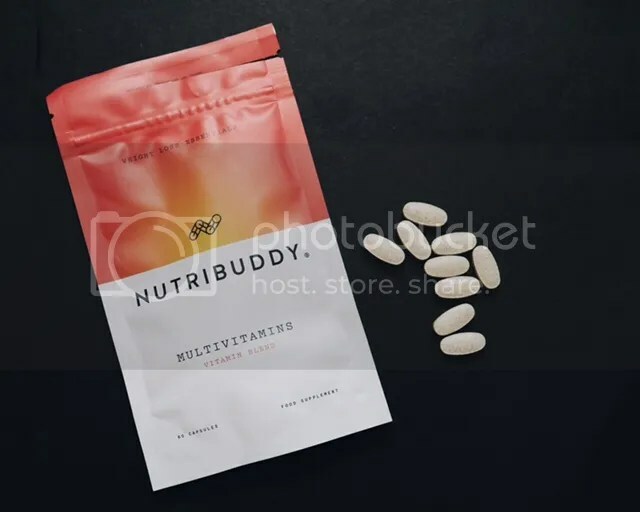 Although these tablets are suitable for vegetarians and vegans, the manufacturers wrote that anybody under the age of 18 or women who are pregnant or breastfeeding should not consume these pills! So I’ve been taking 2 pills a day, since I still do wish to retain my appetite. I down these pills mostly at dinner where my appetite tends to need major curbing, and I find that it works! I stop grabbing snacks post-dinner, and have little to no supper hunger pangs. Thumbs up, Hunger Fix. For just £70, this full package keeps your weight and appetite in check, while boosting your fitness regime and making sure your energy goes to efficient use. All within a span of 31-days! 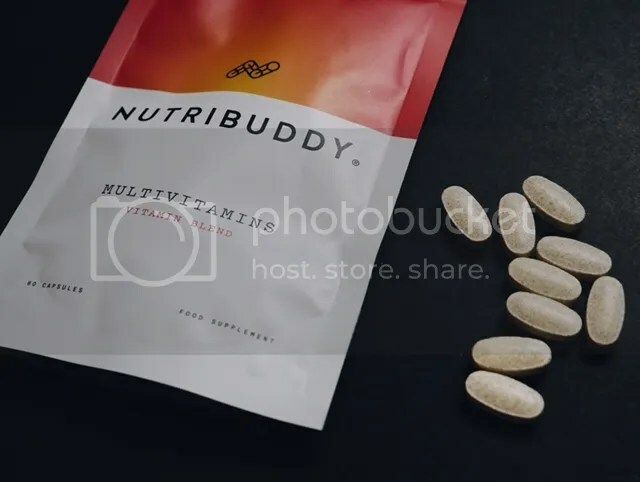 NutriBuddy Ltd is based in Manchester, UK. Their products are made with 100% natural ingredients. All products are manufactured in the UK to GMP Standards. 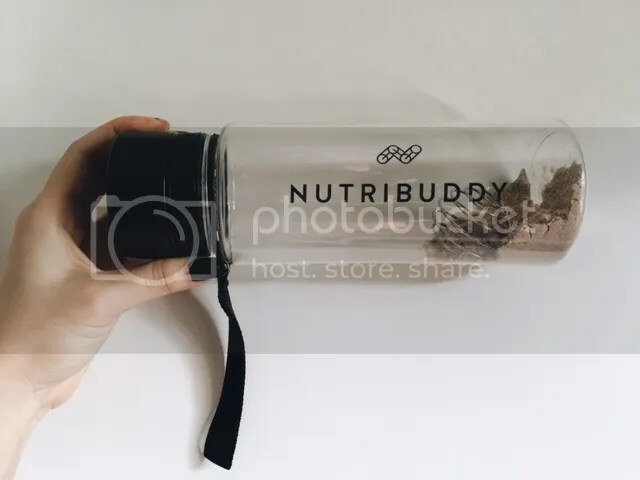 Nutribuddy has a return policy – customers can return their products within 31 days of purchase if unopened. The ultimate 30-day Weight Loss Essentials Starter Kit is available HERE at NutriBuddy UK. You save £10 with this kit than if you buy individual products. There’s a really well-informed article on NutriBuddy that discusses clinical studies on whey protein, and relates this to the protein shake industry. Do check it out here. Don’t forget to quote “JEAN5” for your 5% discount off the entire order! Click through to purchase here.